Cities Connection Project | KATZENBACH RESIDENTIAL ESTATE. ZURICH-SEEBACH. 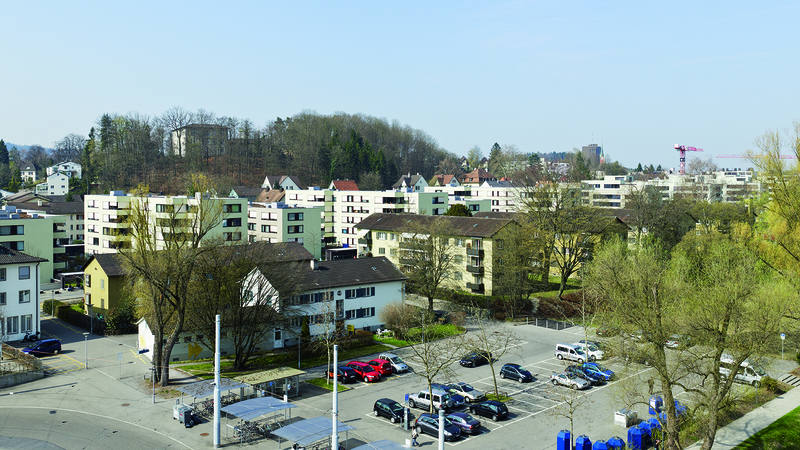 Zurich-Seebach, with its green settlements and freeflowing open spaces, was created in the late 1940s based on the idea of a garden city. The master plan by the city’s Municipal Architect A.H. Steiner is still partially visible today, for instance in the direct vicinity of the new estate, where there is a large green area to the north along the Katzenbach stream and a wood-covered hill to the south. 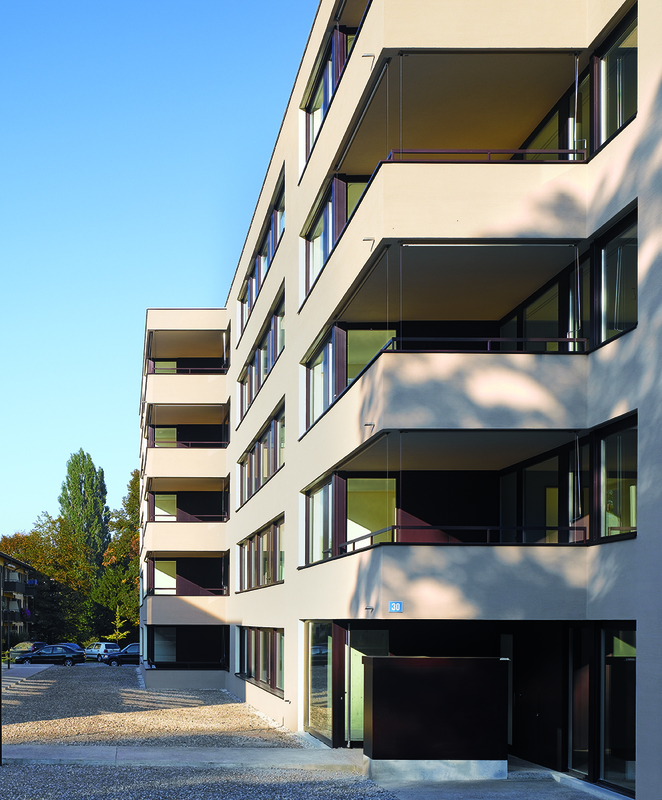 The Katzenbach housing estate, with around 220 apartments, is the first constructed comprehensive replacement development by a housing association in the City of Zurich. The densification from 40 to 115 percent represented a challenge with respect to its acceptance in the quarter and its integration into the urban planning context. By placing the building vertically to the two streets, the staggered ground plan and height, as well as the reserved materialisation, allowed the new buildings to be integrated into the context. At the same time, the exterior space was interspersed with the existing green areas to combine the settlement and quarter and maintain the idea of a garden city. The theme of permeability is consistently continued in the apartments. The Z-shaped living and dining rooms span from façade to façade and thereby mediate between the trees of the accessing courtyard and the rear yard lined with hedges. By contrast, the terraces enclosed on two sides underline the longitudinal alignment and the staggered buildings, while opening out towards the quarter’s green areas. The borders between the apartments and exterior spaces, marking the juncture between private and public areas, are thereby architecturally highlighted and make a decisive contribution in integrating the new buildings into the existing context.